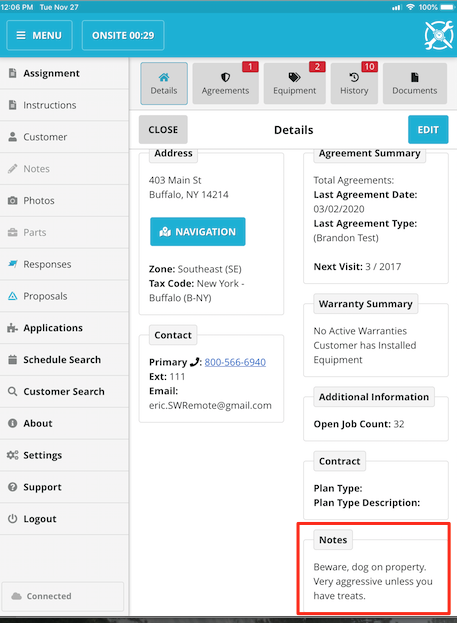 Work Suggested and Work Done Notes will appear on the Invoice and will be visible when the customer signs as well as if they are receiving an emailed Invoice receipt. In the Menu (on the left hand side). Click on the Customer button. 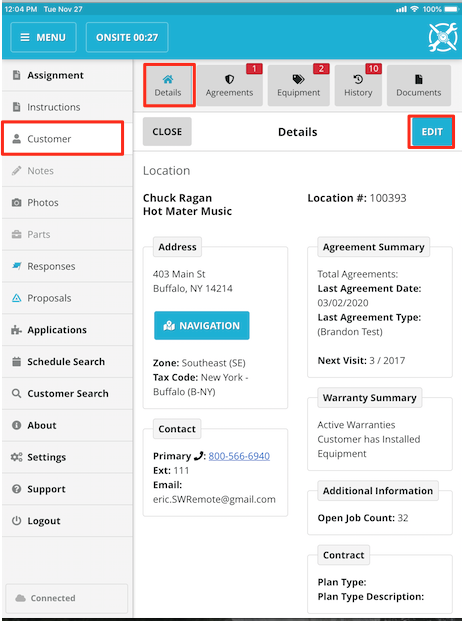 Across the top of the Customer screen, the first Tab (on the far left) is the Details tab and will automatically be selected. 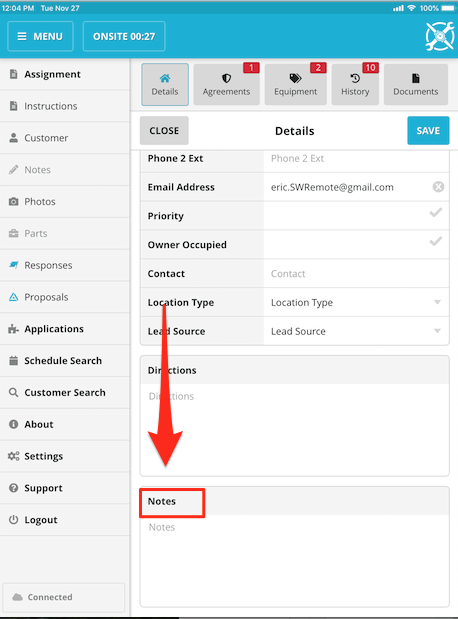 Scroll to the very bottom of the screen and enter information into the field titled Notes. 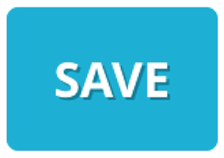 When you are finished with your notes, press the Save button. These notes will now show up every time a Technician dispatches to a job for this particular customer. The customer will not see these notes on their Invoice.